No note on today’s strip, oh well. Also, I totally didn’t realize that the website turned a year old on Friday the 13th. It’s crazy how time flies. Note to self: Make sure to turn my poultry off before any social engagements. Such as a witchcraft trial. I totally get the “set it and forget it” reference. I say it all the time when I play volleyball and most people go “Whaaa? ?” It’s from a rotisserie commercial people!! YouTube it! 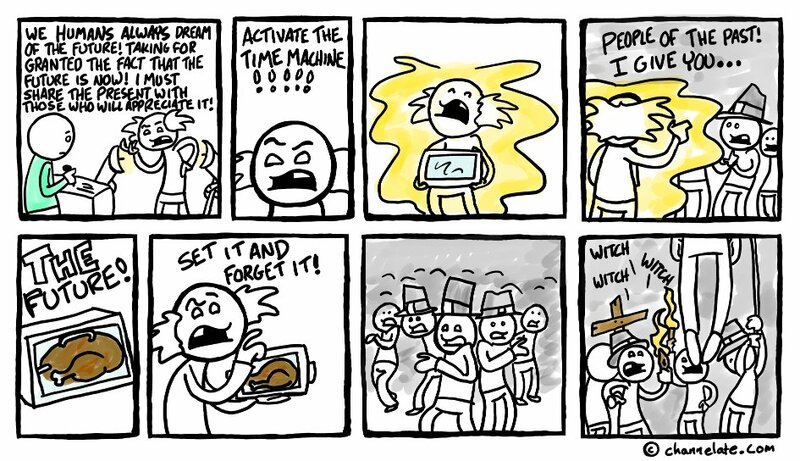 And that’s how the first Thanksgiving REALLY happened…The End. 33tqC9 We all speak just a little about what you should talk about when is shows correspondence to because Perhaps this has much more than one meaning. The people of the past thought he was a witch.